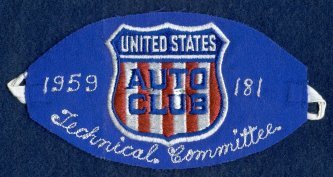 United States Auto Club (USAC) armbands from 1956-60 are made of felt and used tie strings to secure them to ones arm. Armbands from 1961-72 are made of a heavy polyester/canvas type material with an elastic band to secure them to ones arm. 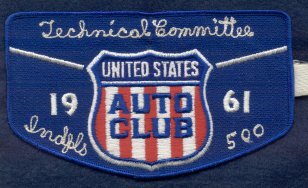 The white 1956, 1957 & 1958 armbands below may be from another track with the '56 made of felt while the '57 & '58 are made from a cloth/canvas type material similar to the 1934-37 IMS time trial armbands. 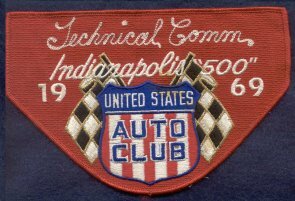 To distinguish the Speedway from other tracks USAC sanctioned, sewn on the armband were: "500" in 1956, "Indpls. 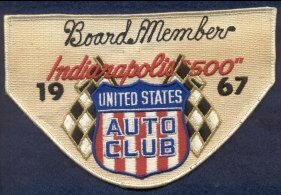 500" from 1961-1964 and "Indianapolis 500" from 1965-1972. 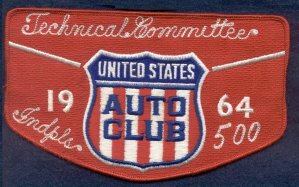 The "500" or other wording denoting it as from the Speedway was left off of USAC armbands from 1957-1960 for unknown reasons. 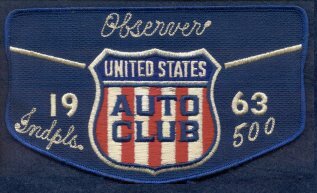 USAC dropped armbands after the 1972 season in favor of a name tag sized credential. Note that the red 1958 armband is "unused" as it has not been cut to make the armband and has not tie strings. Note the red 1961 and 1963 armbands below are non-Indianapolis armband that have been altered to be Indianapolis. 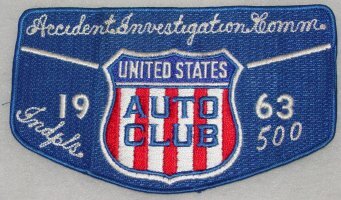 Note the 1970 below which appears to be a modified 1969 armband. 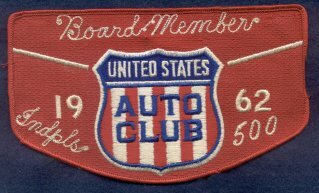 Because of the fragile nature of felt armbands, 1956-60 era USAC armbands may have suffered damage making them tougher to find. Due to the heavier material used on 1961-72 armbands, they tend to hold up better than those made of felt and are therefor easier to find, but are by no means a real easy find.